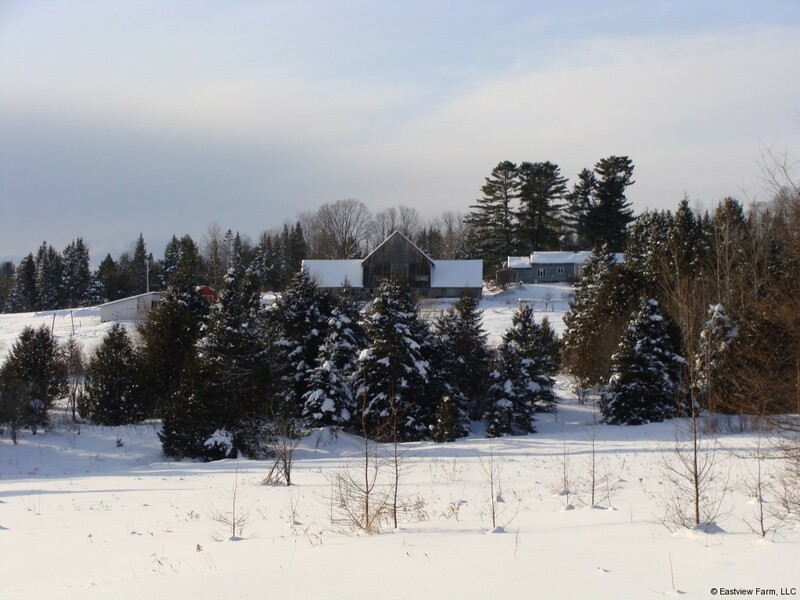 Winter view of the farm buildings from the back field. The Lovinsky family has grown garlic on Eastview Farm since the early 1990’s. We started as a young family with a dream to re build and re purpose an old and somewhat run down dairy farm. The working farm dream is becoming a reality. Our main crop is garlic. We cultivate one variety that has acclimated best to our land and local environment. We work to produce bulbs with consistent size, flavor and quality. We love garlic! The land used to grow our garlic was once pasture for dairy cow herds from the late 1800’s on. Today the soils are rich and dense with microorganisms, humus, and minerals. We have used organic practices since beginning to homestead farm here in 1989. Our garlic and vegetables are certified organic by Vermont Organic Farmers (VOF). We use an unheated high tunnel structure that we purchased and built in 2010, with help from Natural Resources Conservation System (NRCS) to grow greens in the cooler months. We are always learning about extending the short growing season here in the highlands of Northern Vermont and how to use our tunnel to grow healthy food. We grow some kind of vegetable three seasons of the year and work hard to provide as much of our own food as we are able to. Our farm is growing stronger and more sustainable each year. It is a work in progress. We always have building and farm projects that family members willingly help with. Our summers and fall seasons are very busy! In our quest for sustainability and low inputs on our hill farm, we currently raise a small herd of Oberhasli and Alpine dairy goats, some Scotch Highland cattle, two horses and poultry. 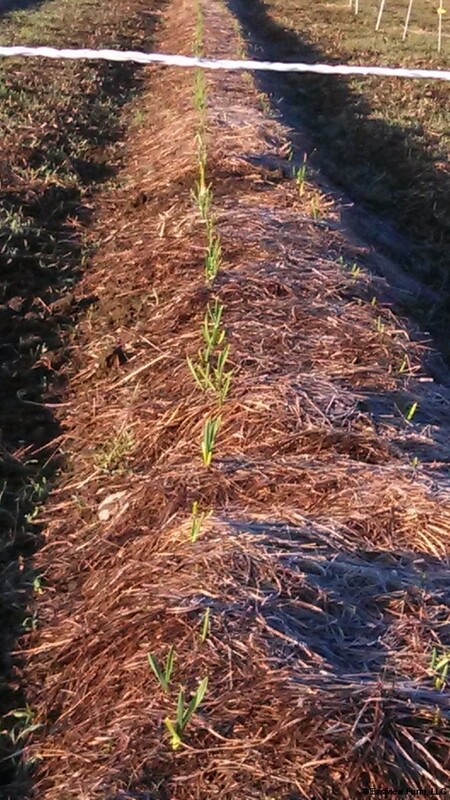 We use this unique mixture of our own manures to make compost along with dry matter, including Sylvacurl fines and wood shavings from our other business, green matter, natural minerals and amendments to build soil fertility and feed our garlic and vegetables. We use green manure plantings in our crop rotations and plant strips of pasture grass and clovers between rows of garlic and vegetables to help with weed control, erosion, soil building and moisture retention. Our animals are raised organically with respect, love and the best care and pastures and winter hay that we can provide. We work to diversify and integrate our animals and crops so that they complement each other and we believe that the animals and soils are an integral part of sustainable farm systems. We are members of the Garlic Seed Foundation, the Bionutrient Food Association and Vermont Vegetable and Berry Association. We follow safe food practices identified for Community Accreditation for Produce Safety, CAPS. This yearly accreditation process along with organic inspections help us to continue to be mindful of best practices. We are always working and learning to be better stewards of this beautiful place we call home. Our fertile soils, long cold winters with lots of snow and sustainable practices produce a distinct flavorful garlic that we are happy and proud to share with other garlic lovers everywhere. We believe that eating garlic helps to keep our family healthy and happy. We hope that it keeps you healthy and happy too!